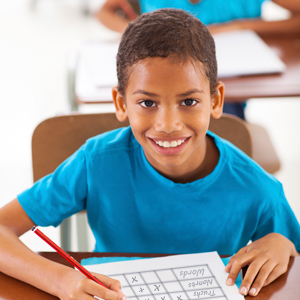 Definition: The semantic feature analysis strategy uses a grid graphic organizer to help kids explore how sets of one things are related to another. By completing and analyzing the grid, students are able to see connections, make predictions and master important concepts. This strategy enhances comprehension and vocabulary skills. "Semantic Feature Analysis is another way to build conceptual knowledge, but in this case , students are prompted to focus on the relationship between terms" (Miller and Veatch, 2011). This strategy has been used a lot recently as a treatment for Aphasic Dysnomia. Therapy for Aphasia Dysnomia is includes semantic and phonologically-based tasks. A study done by Van Heesab, Angwinb, McMahonc, and Copland examined eight people with aphasia who each received 12 treatment sessions. Half of the sessions included semantically-based treatment task using the Semantic Feature Analysis. They saw improve in the people who participated in Semantic Feature Analysis. Their vocabulary and word use increased. (Van Heesab, Angwinb, McMahonc, & Copland, 2013). In Billmeyer's book, Strategies to Engage the Mind of the Learner, she states the importance of using strategies to differentiate instruction. She does research on 92 strategies for before, during, and after reading. In her book she states that strategies, such as semantic feature analysis, need to be used to engage the mind of the learner and the importance of differentiation. When students use strategies for vocabulary it helps them deeper understand the term but also helps their comprehension as well as academic vocabulary. (Billmeyer, 2003). "Struggling readers and writers may lack this language-rich background or may need more explicit help to benefit from exposure to rich language and literacy experience" (Jennings, Caldwell, and Lerner, 2014).This statement represent the importance of incorporate vocabulary strategies to help struggling reader gain the understand and knowledge needed to be successful in literacy skills and development. Have students place a "+" sign in the matrix when a vocabulary word aligns and a "–" in the grid if it doesn’t. Since the teacher selects a list of words that have similarities and places them on the matrix this strategy can be used in any content area, for any topic, and related to any curriculum. Reading- It could be on a story or more specifically the characters in the story. Social studies- Could be on a major event being studies in class, for example it could be on the war world 2 and be about who was in it, what happened, and questions about it. Mock of what this strategy would look like in a speech therapist for one on one assistance. This would be good for struggling learners. Van Heesab, S., Angwinb, A., McMahonc, K, & Copland, D. (2013) A comparison of semantic feature analysis and phonological components analysis for the treatment of naming impairments in aphasia. Neuropsychological Rehabilitation: An International Journal.